These days interest in spirituality and meditation seems to be growing. The reason may be because human being’s quest for development resulting in all the material advances are happening at such a pace that it is challenging to keep up with it. Today, there is an abundance of material improvement, all intended to benefit our mental and physical well being, however, it is also creating more anxiety, and hence this hunger for spiritual wellness. Particularly, in advanced western societies, this interest in meditation and spirituality seems to be growing more rapidly. The interest is present and real, yet it is hard to see individuals who have strong motivation and dedication towards serious practice. They seem to practice for a few weeks or months or even seem very interested in the beginning but then leave. Without some diligence, spiritual accomplishment is very difficult. As an example, if we need to complete a project, without giving it time and effort, we cannot complete it. Here we are talking about mind training, which is not easy, and so without considerable effort and diligence on this path, it will be very difficult to accomplish results. 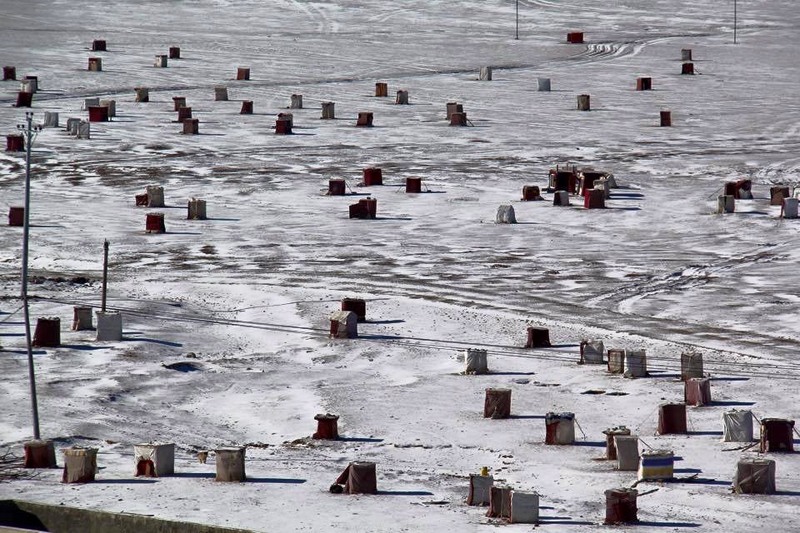 A few days ago, I saw this picture of meditation boxes scattered on the hills. These are nuns from a nunnery in YachenChoegar, Tibet. Yachen Choegar consists of about 14,000 monks and nuns who come to study and who are in pursuit of serious practice. Last year, due to enormous pressure from the Chinese government, parts of Yachen Choegar and Lharung Gar were destroyed. 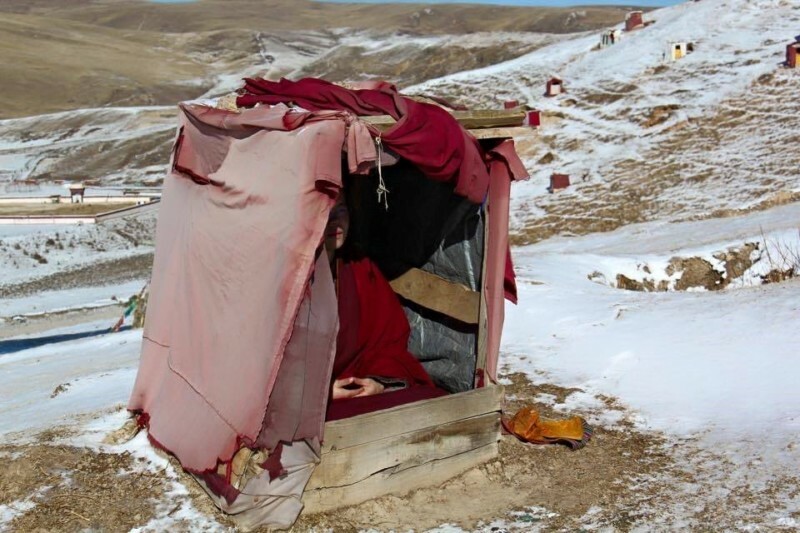 It seemed very remarkable to me that even after having their place of living destroyed and braving the brutal cold windy winter, these nuns practice meditation in these small makeshift boxes in the pursuit of true liberation. They are undeterred by the pressures of the harsh elements and the government. Such strong diligence is bound to bring results. In America, resources are in abundance and there no such challenges, yet it is difficult to find serious practitioners with a strong desire for freedom and realization. 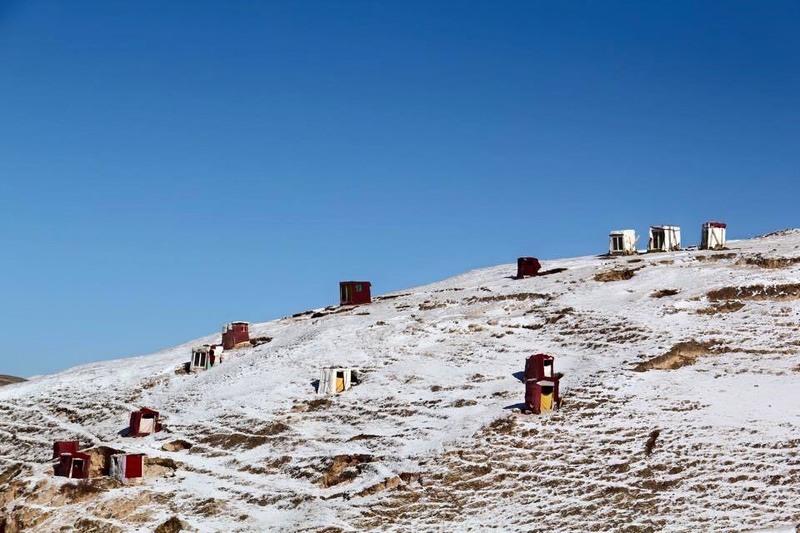 In Tibet, people may be genetically programmed to endure harsh environments, otherwise, we are equal in our capacity as humans and our human interests are the same. If we can be as persistent in our practice as these practitioners, there will definitely be results. If one diligently dedicates oneself towards hard work for months and years, the fruit of the path will be a reality. Lastly, for all and everyone, I pray and aspire that our mind may turn to the Dharma, that our Dharma practice may become the path, that our delusions on the path be purified, and that delusions may arise as wisdom.